Although not as popular as Ubisoft’s world-conquering Assassin’s Creed franchise, it’s clear the Far Cry series has quite a following worldwide. This is due to the games’ intense first-person action gameplay and exotic locales. Actually, the Far Cry games have taken us to sun-drenched South Pacific islands, Himalayan countries and the African savannah, but this time will be different though. This is because Far Cry 5 will be set in the US state of Montana, which surely looks like it could be a great setting for Ubisoft’s upcoming action game thanks to its stunning natural scenery and also due to the fact that this is the first western setting for a Far Cry game. It’s unlikely you will have much time to admire the scenery though, as Montana has been taken over by a vicious cult hell-bent on subjugating the populace so that they do their bidding. And it’s up to the player character, a deputy sheriff, to put things right in Montana. But you won’t be alone in your task as the gameplay video below shows, as you will be able to recruit guns for hire to aid you in taking down the cult. 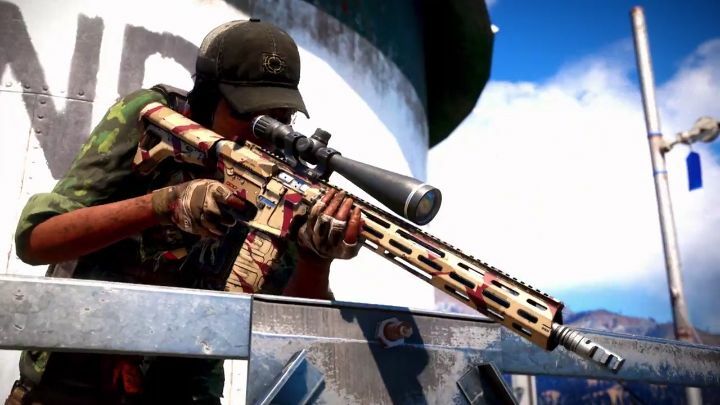 This was also possible in Far Cry 4, although here you will have more control over your buddies, as we see how the gun for hire (who’s wielding a sniper rifle) can be ordered to take a position in a nearby water tower to strike at the bad guys from above. It’s not just people who can help you out when fighting the cult though, as there will also be “fangs for hire” in the game, proving that a dog can be a man’s best friend, as one is seen helping the player character in the game by taking down those evil cult members. There are other characters in the game who are also central to the story such as pilot Nick Rye, who can fly by to give hell to the cultists from above, while we also see how the dogfighting bits in the game will look at another point in the trailer. All in all, it looks like this Far Cry game is shaping up to be one of next year’s top action games when it hits shelves next year, so hopefully this won’t disappoint and deliver a gameplay experience as good as classics like Far Cry 3 when it’s finally released. Note: Far Cry 5 will be released on February 27, 2018. Available on PS4, Xbox One and PC.